Congresswoman Debbie Dingell Gives Weekly Democratic Address. Congresswoman Debbie Dingell of Michigan has delivered her weekly Democratic Address. In the Address Debbie Dingell highlighted the progress Democrats have made in the For The People Agenda. “Hello, I’m Congresswoman Debbie Dingell from the 12th District of Michigan – home of the auto industry and the University of Michigan – Go Blue! “This week, the Administration released the Mueller Report. Congress’ oversight responsibilities matter, but while the Intelligence and Judiciary Committees continue their investigations, Democrats in the House are still focused on our work to deliver For The People. “Our agenda – to lower prescription drug prices, to create sixteen million good-paying jobs through a real infrastructure plan and to make sure that our government is working – is what Americans expect from this Congress and it’s what they deserve. “Every day, we have stayed focused on the issues that matter to working men and women, and are working hard to improve lives across this country. “Democrats know that America is strongest when everyone has quality, affordable health care. “I have spent a lot of time in doctors’ offices in the last year. Every time I go, I hear the very personal challenges faced by many. A mother terrified for her daughter if protections for pre-existing conditions are stripped away. Women who don’t get mammograms because they can’t afford the treatment if they are diagnosed. Seniors who are splitting pills in half and rationing their insulin. We have been working to help them. “Democrats have done everything in our power to protect life-saving access to affordable health care coverage for Americans with pre-existing conditions, our seniors and our most vulnerable. “Families and seniors have also steadily seen the rise in prices of prescription drugs. First it was EpiPens, then insulin and now we are seeing increased costs for inhalers. One of the most common inhalers costs almost $700, and copays range from $80 to $400, with some having to pay the total price out-of-pocket. Imagine a family struggling to get by, with a child who must have that inhaler. “We will keep working to make health care and prescription drugs cheaper and bring stability to our health care system with lower out-of-pocket costs. “America is prosperous when everyone has an equal shot at success and the playing field is level. “Government that works for everyone, not just those with the largest checkbooks, is the strongest democracy in the world. “In the first 100 days, Democrats passed a once-in-a-generation democracy reform bill designed to return our government to hard-working Americans and ensure they have an equal voice at the table. “We supported survivors of domestic abuse. “We took common-sense actions to strengthen and expand background checks, so people with a violent history aren’t able to purchase dangerous weapons. “We passed a bill to put more money in the pockets of working American families by ensuring that women receive equal pay for equal work. “We finished decades of work by passing a landmark package to protect public lands and permanently safeguarding the Land and Water Conservation Fund. “And this is just in our first 100 days. We’re just getting started. “Democrats will put forward an infrastructure plan that will provide millions of good-paying jobs for hard-working people by fixing our roads and bridges. “We will also aggressively address the dangers posed by climate change and protect promises made to the Dreamers. “As we move forward with this critical work, it is my hope that Republicans in the House and Senate will work with us. I want you to know that we will work with the Administration whenever possible, though we cannot ignore our responsibility for oversight. “This weekend is a holy weekend for people of many faiths. Our Jewish neighbors begin the celebration of Passover. Sunday is the culmination of Holy Week for Christians who will celebrate Easter. Shortly, our Muslim friends will begin Ramadan. It’s a time to remember that we all have shared values and those values are what make our democracy enduring. “These first 100 days have been difficult ones for me. I lost the man I loved, and this is my first holiday in nearly four decades without him. “John Dingell was a wise man who loved this country. He frequently observed on the need for all of us to come together for the common good, regardless of partisan ideology or personality, and that together we can preserve, protect and defend our beloved Constitution. “That’s exactly what I - and all my Democratic colleagues - are going to do. “We will continue fighting for and listening to everyone. “We will keep working to build a safer, stronger and secure America together. Parola Perspective: On Trump Impeachment. I've been supportive of Pelosi playing down impeachment. But now that the report is out, now that we're seeing Barr completely mischaracterize the report, and when you consider the time constraints vis-a-vis the 2020 election...it's time to dramatically change the narrative by arguing that Barr IS WRONG; that Mueller's report shows that the president not only engaged in illegal activity, but that he clearly engaged in impeachable offenses, and he must be held accountable. Additional Measles Cases in Oakland County. The Michigan Department of Health and Human Services (MDHHS) has confirmed an additional measles case in Southeast Michigan, bringing the state total to 43 for 2019. 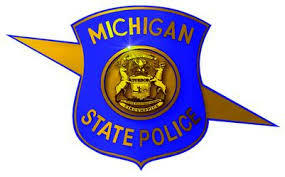 The newly confirmed case is from Oakland County. This according to Michigan Dept of Health and Human Services.There are no new exposure locations related to this case. The outbreak, which began in mid-March, has resulted in 40 cases in Oakland County, one in Wayne County and one in the City of Detroit. In addition, an international traveler was diagnosed with measles following a visit to Washtenaw County, during which time he was contagious. Infected individuals range in age from 8 months to 63 years; a majority of the cases involve adults, according to MDHHS. MDHHS is working closely with local health departments to identify possible exposure locations for these latest cases. A listing of exposure locations is online at Michigan.gov/MeaslesOutbreak. According to MDHHS, the measles vaccine is highly effective and very safe. A single dose of measles vaccine protects about 95 percent of children, but after two doses, almost 100 percent are immune. The first of two routine childhood measles vaccine doses is given at 12-15 months of age. A second vaccine dose is given before the start of kindergarten, between ages 4 and 6 years. 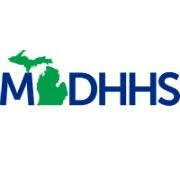 MDHHS follows Centers for Disease Control and Prevention guidance and does not recommend routine measles vaccinations for children less than 12 months of age unless there is a suspected measles exposure; there is thought to be an imminent measles exposure such as being in areas of known measles; or international travel planned, per MDHHS. According to today's press release from MDHHS, for international travel, infants as young as 6 months should be vaccinated against measles. Measles vaccine, or other acceptable documentation of immunity to measles, is recommended for all persons travelling internationally. This is the highest number of measles in the state since 1991 when 65 cases were reported. So far this year in the U.S., there have been 555 cases of measles confirmed in 20 states. Measles is a highly contagious, vaccine-preventable disease that is spread by direct person-to-person contact, and through the air, according to MDHHS. 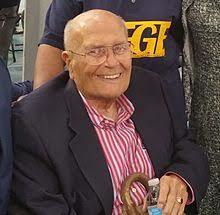 Details on Services for former Congressman John D. Dingell. Below, please find information on services for John D. Dingell in Michigan. Details about services in Washington, DC will be announced later today, according to a media release from the office of Debbie Dingell. According to Friday's media release, on Monday, February 11, 2019 from 11:00 am to 8:00 pm, a visitation will be held at the Ford Community and Performing Arts Center at 15801 Michigan Avenue, Dearborn, MI 48126. This event is open to the public. On Tuesday, February 12, 2019 at 11:00 am, a funeral mass will be held at Sacred Heart Catholic Church, 22430 Michigan Avenue, Dearborn, MI 48124. This event is open to the public. Former Congressman John D. Dingell, a WWII-era veteran of the Army, will be interred at Arlington National Cemetery, according to the press release.